Abound Logic (formerly known as M2000) is a pioneer in Embedded FPGA technology and has delivered many complex cores that are currently in production. Abound Logic announced their new technology, the largest FGPA devices available in the market today. The Raptor 750 is the first member of the family, providing more than 750K Look-up-Tables in a single 65 nm device. Raptor 750 is the densest, fastest, least power consuming FGPA device in its class. Elliptic Semiconductor offers a complete security portfolio including software and hardware solutions for embedded systems. Whether it's IPsec, rights management, storage or payment, customers around the world look to Elliptic embedded security solutions. 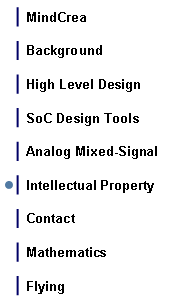 IP cores target ASIC and FPGA designs, and software solutions are highly portable. Elliptic designs are rigorously verified and include AES, RNG, RSA and ECC that scale from kbps designs all the way up to 40 Gbps for networking applications. Elliptic has developed the industry's broadest portfolio of security IP through a structured, rigorous development program that offers customers the ability to precisely specify the performance and configuration (cipher and hash mode)s required for the standards under consideration as well as gate count and memory goals required for the target application. The right for ownership was the first time defined in Hammurabi’s Code of Laws, to be accurate in §9 thereof. 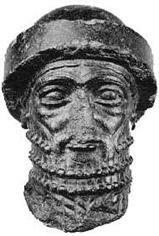 Hammurabi, a king of Babylonia, living between 1800 and 1750 B.C., issued his code to enable the growth of wealth of people in his empire. It still took more than 3200 years since the Code of Hammurabi, before the first patent was granted.